suitable for all residential and commercial applications. Aluminum filters are UL 900 Class 2 listed. The layers are then arranged with the larger openings at the air entrance side and the smaller openings at the air exit side. 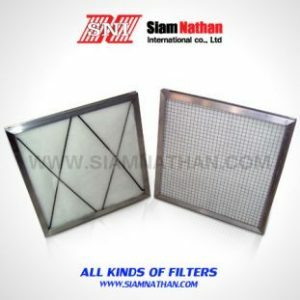 This design allows contaminants to be trapped throughout the entire filter depth and not just at the surface. 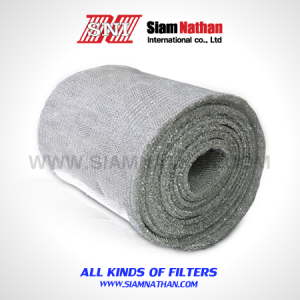 Six standard nominal size filters are available and are undercut 3/8″ on the height and width dimensions. 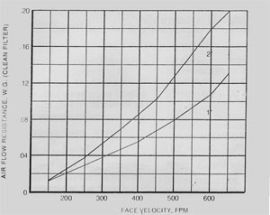 Nominal 1″ filters and are 7/8″ thick and nominal 2″ filters are 1-7/8″ thick. Special sizes made to exact dimensions as specifiedare available in nominal thicknesses of 1/2″ (1/2″ actual), 1″ (7/8 actual) and 2″ (1-3/4 actual). 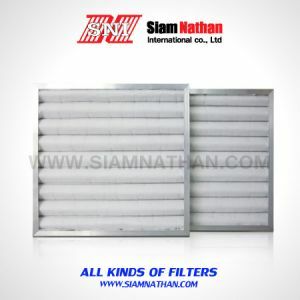 Before packaging for shipment, filters are sprayed with Filter Coat, a water-soluble adhesive and detergent. 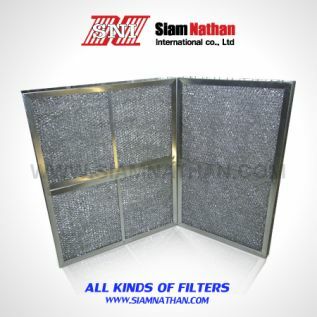 The adhesive helps to retain the dirt particles, and when the filter is washed, the detergent helps to release the used adhesive and contaminants from the media. To clean a dirty filters, rinse it with a moderate-to-heavy stream of warm water. High-powered steam cleaning or chemical dips are unnecessary and are not recommended. 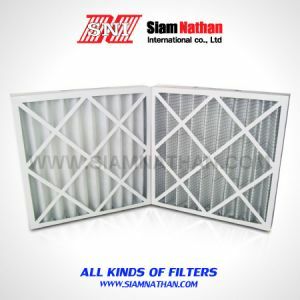 Re-spraying with Filter Coat will helpmaintain the filter’s efficiency. and coated with filter adhesive. * Insert thickness designator: 10(1″) or 20 (2″).